Pembrokeshire Beyond has been familiar with the many roadside hauntings that seem to be epidemic in the County of Pembrokeshire. Now we can reveal that new reports have been emerging of a new roadside haunting at a popular Pembrokeshire destination. Pembrokeshire Beyond has received two reports in the last two weeks of what appears to be a young man running in front of cars on a side road at Newgale. One alarmed motorist, that at this time wished to remain anonymous, had this report for Pembrokeshire beyond. Are motorists experiencing the tragic figure of a young man haunting a road at Newgale? Have motorists seen the ghostly figure of a young man run across the road and vanish into the rock face at Newgale? Another concerned motorist contacted us with this report on Saturday 21st March. Newgale is almost 2 miles of sand backed by a huge pebble bank formed after a BIG storm in 1859 and is a popular destination for locals and tourists alike. Newgale. Does it have its own roadside haunting? So what credence can we give to this newest roadside haunting? One local resident says that the phantom is not a new occurrence and that it has been seen for decades. She claims that many have seen the paranormal activity at the same spot and as no one to date has been hurt and that the ghostly young man does not pose a threat. But who is he? 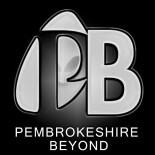 The team from Pembrokeshire Beyond and the Paranormal Chronicles will investigate further. We advise all motorists that use that small coastal road to please be vigilant and to please drive safely. As you drive through on a misty night with the waves lashing against the pebble wall who knows who or what you will encounter…. If you have any further information then please contact paranormalchronicles@aol.com or message us through our Facebook page by clicking on the link here: Pembrokeshire Beyond/ Facebook. What did happen in that house in Haverfordwest? Would like to investigate this report…if anyone has more details could they get intouch. This entry was posted on March 29, 2015 by The Paranormal chronicles in Ghosts and Hauntings and tagged Ghosts, Motorists, newgale, phantoms, roadside#.